Paris is the capital of France and it is one of the major European city and a global center for art, fashion and culture. This romantic city welcomes thousands of frequent visitors from all around the world all over the year. Beside the numerous delight of Eiffel Tower and Louvre, there are plenty of cites’ attractions like Versailles, Marseille and Lyon that you may enjoy during your trip. 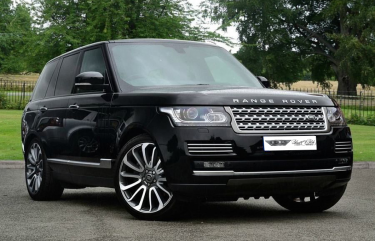 Range Rover rental would be the best choice to discover Paris with its comfortable seats, durability and smooth ride. Having a ride to ChampsElysees toward the Arc de Triomphe and Louvre, you'll have a great view of all the sidewalk cafes and ancient sights Paris has to offer. Range Rover car rental would be ideal to visit those cities in Francesince it has all the modern technology and comfort features you could desire in a car hire. Are you fan of car hiking? Paris is surrounded of wild forests like Verrières Forest, Foret de Rambouilletand Foret de Fontainebleau. Each Foret on its own, combined they make a fantastic 4x4 adventure. Rent a Range Rover Vogue to get the best hiking tracks experience in those Majestics forests. The Vogue, having aformidable power and with the most updated Terrain Response off road traction control system, Roll Stability Control and the excellent air suspension, is all what you need to enjoy walking over the soft bed of golden autumn leaves, follow your gaze along the lengths of century old trees as the height of their green leaves colors the blue sky. 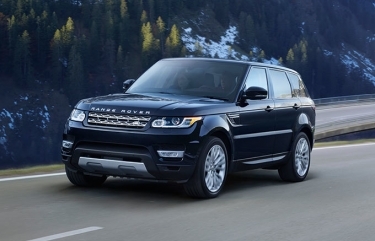 Hire the Range Rover Sport with Bsat El Rih from Paris to uncover the hidden realms of Verrières Forest. The option to rent a Range Rover in Paris will give you a more comfortable and safe visit and gives you the opportunity to visit all the touristic places in this city. Range Rover Sport for rental with a driver option. Do you want to hire other cars’ brands?